is among the overstock bargains available this season. 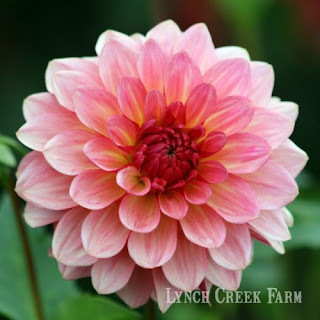 You can go hog-wild buying dahlia tubers at Lynch Creek Farm and the shipping won't break the bank. Whether you order a couple of tubers or a hefty box full of enough dahlia bulbs to grow all the varieties the farm offers, shipping and handling are only $5.95. "Improvements to our shipping process," explains a Farm spokesperson, "mean more savings for our customers. Our goal is not to profit from our shipping charges." Instead, the Lynch Creek Farm philosophy is to do everything possible to get everyone who gardens as excited about growing beautiful dahlias as Andy, Nathanael, Evé, Patty and the rest of the crew are. And if that means subsidizing the shipping costs of big orders, well, that's part of doing business at The Farm. also on the overstock list for 2013. Shipping isn't the only bargain available this time of year for Lynch Creek Farm customers. Check out the featured bargain dahlias each week on the home page of the Lynch Creek Farm Web site. 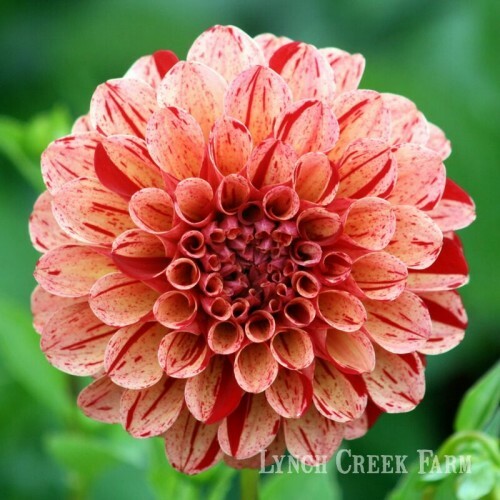 Or look for the entire list of overstock dahlia tubers: dahlias proliferated happily last summer, and the resulting oversupply of top-quality dahlia tubers means big savings for customers. What's even better than remarkably inexpensive shipping and handling, and slashed prices on selected dahlia tubers? The farm's fine, healthy stock and customer support that will help you grow the best dahlias you've ever seen. Get your dahlia tuber order in now while supplies are at their best.